Multiprocessor System-on-Chip is one of the main drivers of the semiconductor industry revolution by enabling the integration of complex functionality on a single chip. The techniques for processor design and application optimizations can be combined together for more efficient design of these systems. Thus, the memory optimization techniques improving the data locality can be combined with multithreading technology, improving the overall processor efficiency. The combination of these techniques is mainly challenged by the adaptation of memory optimization techniques to the high parallelism offered by the multithreading environments. 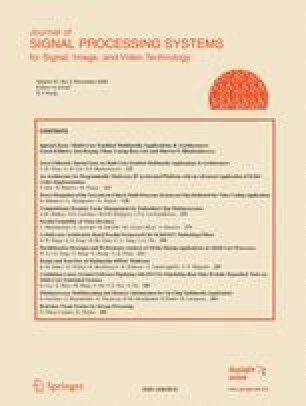 This paper presents an in-depth analysis of the impact of multiprocessor and multithreading environments on memory optimization techniques. A discussion is provided on the different types of parallelization (fine and coarse grain) and their influence on memory optimization technique. Some improvements on existing memory optimization techniques are presented as well some adaptation necessary to use them in this type of environment.